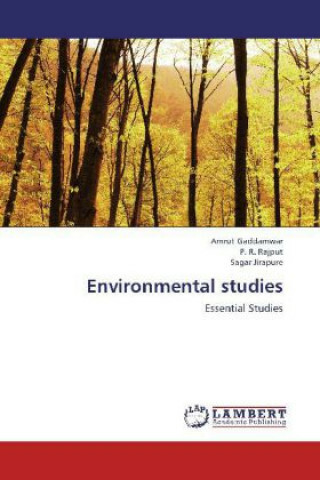 This book is designed to cover the Environmental Studies Syllabus of B.E./B.Tech, B.A, B.F.A, B.P.A, B.M.C, B.S.W, B.Com, B.B.A, B.Sc, BCS, B.C.A, B.Pharmacy, B.Sc (Home science), B. Tech (Cosmetics), B.Tech (Chemical Technology), B.Tech (Chemical Engineering), L.L.B courses and it provides very lucid explanation about various concepts of Environmental Studies and it cover the requirement of Indian and various other universities 2012-2013. It consists of seven units. It focuses, in clear and lucid language, on the basic scientific contents necessary to understand latest issues. The salient features i. Lucid and elegant style ii. Dependable information about concepts.